Friends should always be honest with you, right? So when they lie, it can be really hard to take. You want to trust your friends and that means knowing that they’ll tell it to you straight no matter what. But a friend who lies isn’t always trying to hurt you. Sometimes friends lie just to protect your feelings. 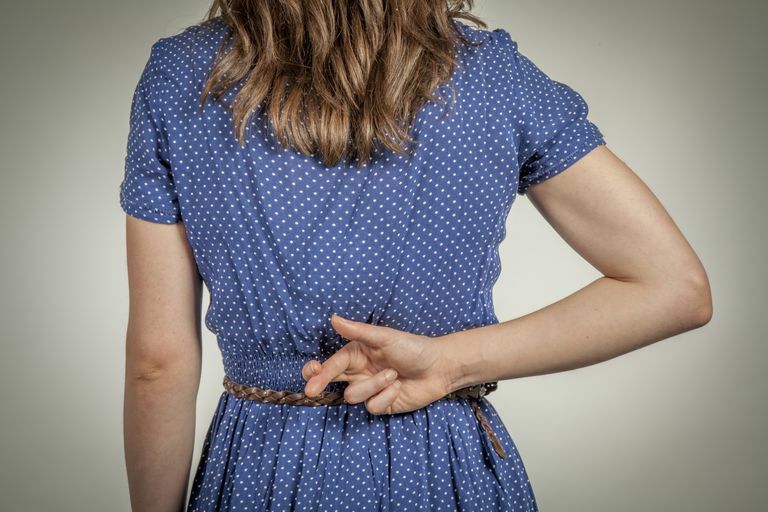 The lying can be as simple as telling you that they love the latest dress you purchased (when in fact they don't), or as horrible as lying about an affair. Sometimes friends lie about an outing that you’re not invited to. Other times people may lie about being friends with someone else. Why does this happen? One of the biggest reasons friends lie is simply to avoid hurting your feelings. Questions like, "Does this skirt look good on me?" or "Do you think I can sing?" might prompt a little white lie or an avoidance of telling the blunt truth. Some people don't understand the difference between being gently honest with a friend as opposed to being so straightforward that you leave a verbal wound. Instead of these two extremes, they opt for avoidance in the form of a lie. What you can do: Encourage your friends to be straight with you. You could even tell them "Be gentle, but be honest," and then no matter what their answer is, let them know you appreciate it. If you overreact or get angry with them, they won't feel comfortable telling you the truth again. Sometimes friends will lie about things in their life because they are too embarrassed to admit the truth. Maybe they are in debt or are going through a rough time that they just don't want you to know about. What you can do: Avoid trying to badger your friend into telling you what's wrong. Instead, make it clear that you are there for them when and if they are ready to talk. Make your friendship a safe place for them where they can share their troubles with you without feeling judged. Perhaps your friend knows that if they tell you the truth, you'll get angry with them. Avoiding conflict is not always healthy for a friendship because it allows problems to grow over time. If you have a bad temper, your friend might try and avoid getting into it with you and instead just tell you what you want to hear. What you can do: Make sure that if a friend tells you something unpleasant, you don't overreact. Consider what's being said and why your friend is telling you this. If you do end up arguing, do it in a respectful way. Lying isn't always a sign that friends are trying to protect you, however. Sometimes they lie because they want to exclude you from their plans. If they tell you they are staying home some night you want to go out, for example, and you find out later that they partied without you, it may mean they aren't as good a friend as you thought they were. Sometimes friends lie because they don't think you're good enough to mingle with their other friends. Maybe they don't want to mix friend groups together, and as a result, prefer to see you for only certain activities. It isn't right (and doesn't always make sense), but that's why friendships are so diverse. Everyone is different. What you can do: When you find out with absolute certainty that your friend was lying to you, try and confront them. Be forewarned, however, that if a friend lies, to begin with, they may lie when asked a direct question about their dishonesty. Go with your gut on this. If you feel as your friend is lying because they don't want to be around you, that's your wake-up call to move on.